The Old-Drava is about 15km-long oxbow on the Croatian-Hungarian border on the floodplain of Drava. There are gallery forests along it, some of its stretches have nice open water surface, other stretches are mostly covered by reed that is only crossed by some small channels. 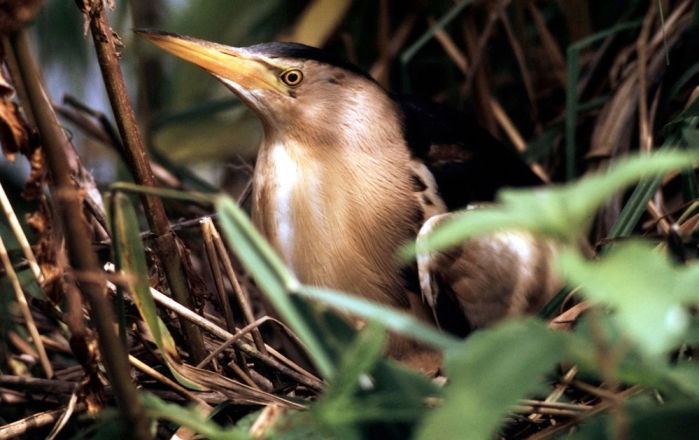 Beautiful bird species Ferrugineous Duck and Little Bittern live in the oxbow and Military Orchid or Sword-leaved Helleborine are flowering in the gallery forests on its bank. Due to the riverbed incision of the main course of Drava, the water leaves the oxbow quickly after wet periods and flows into Drava – thus the long wet periods are useless from the aspect of the oxbow’s water supply due to the quick overflowing of the water. The signs of degradation were evident in the previous decade both in the oxbow and in its adjacent habitats. 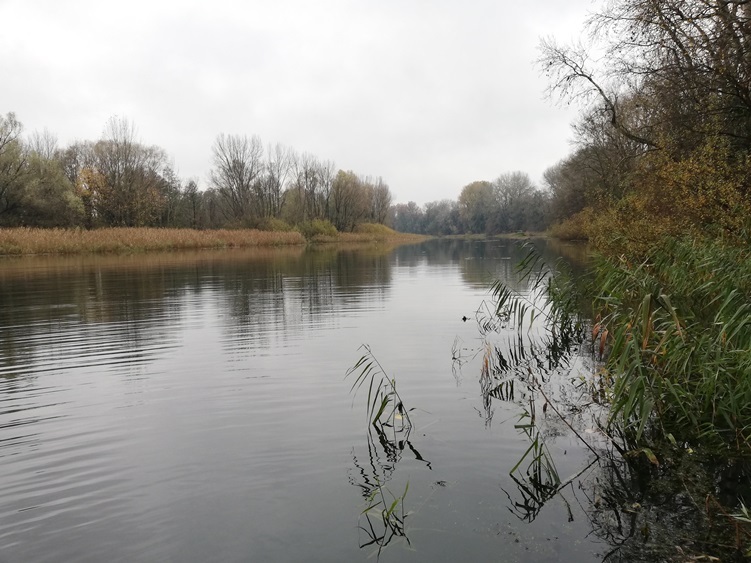 The nature conservation experts decided to develop water retention measures: the 1st Croatian-Hungarian LIFE Nature project started in 2014 at Old-Drava. The preparation of the technical plans and getting permissions took long time in the first years and the field works finally started in the autumn 2018. The Old-Drava is connected via the Black-creek (Fekete-árok) to the main stream of the river, and the bottom weir for water retention is built in this creek during the project. The role of the bottom weir is to improve the upstream average water level, which can increase the volume of the water in the Old-Drava with half million cubic meter. The bottom weir’s other, probably more important function is that it can slow down the sinking of the water level during droughts. The more water is in the oxbow the higher is the groundwater tables around it since there is very direct connection between the oxbow’s water levels and the groundwater table via the gravel bed beneath the Old-Drava. This has significant positive effects for the plant species, especially for the gallery forest and the bush layer, since its root zone’s water supply improves. The 1st step of the field implementation was to build a temporary side channel on the stretch of the Black-creek where the bottom weir will be built. This is followed by the closing of the creek at this spot and creating a hole for further actions. This is necessary to make the spot of the field implementation dry during the works run. The water and the fluid sludge need to be removed from the hole before the bottom of the artefact is starting built. The field works run both in Croatia and Hungary and proposed to be finalized during the winter months. The field works will have the smallest risk on flora and fauna by this way. The small and heavy machines must be in good mechanical conditions without any leakage risk of oil or fuel to preserve the soil and water. All the material and equipment will be stored outside the project and Natura 2000 area. The improvement of the water supply has positive effects for local people who go down regularly to Old-Drava. This is a popular angling site in both countries. During the project new angling platforms were built and old ones were removed. The local inhabitants were asked about the oxbow and the outcome of the interviews is that the locals are very proud of Old-Drava and are aware of its curiosity. The most of the people support all the field works that improve the water supply and would like to see an oxbow that is not silted up, has mosaic and rich habitats that provide the preservation of the nature treasures and ecosystem services for locals and for the whole society.